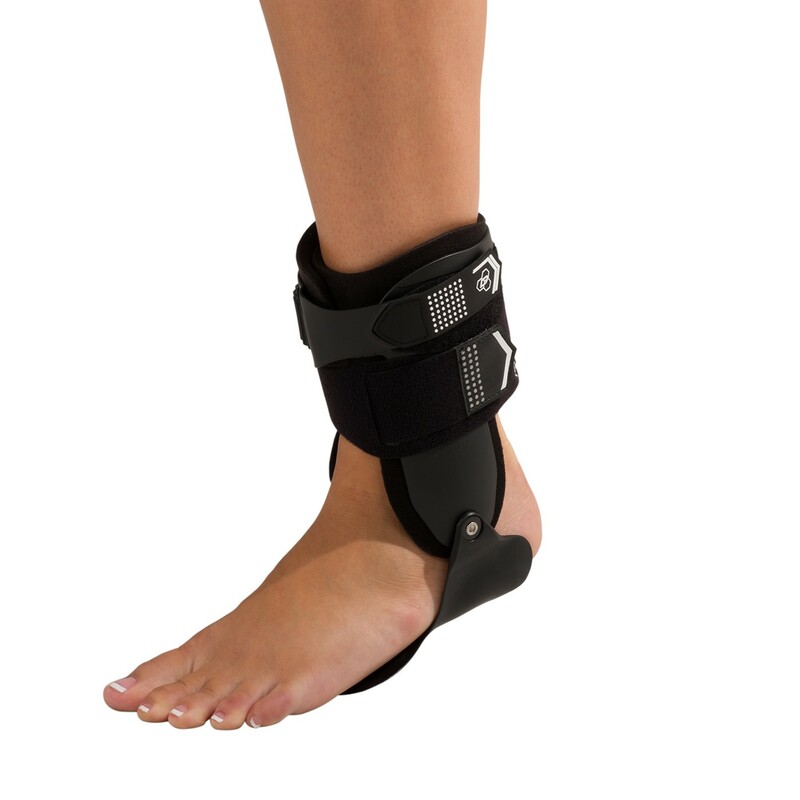 Rigid ankle brace providing protection and prevention due to ankle sprains. 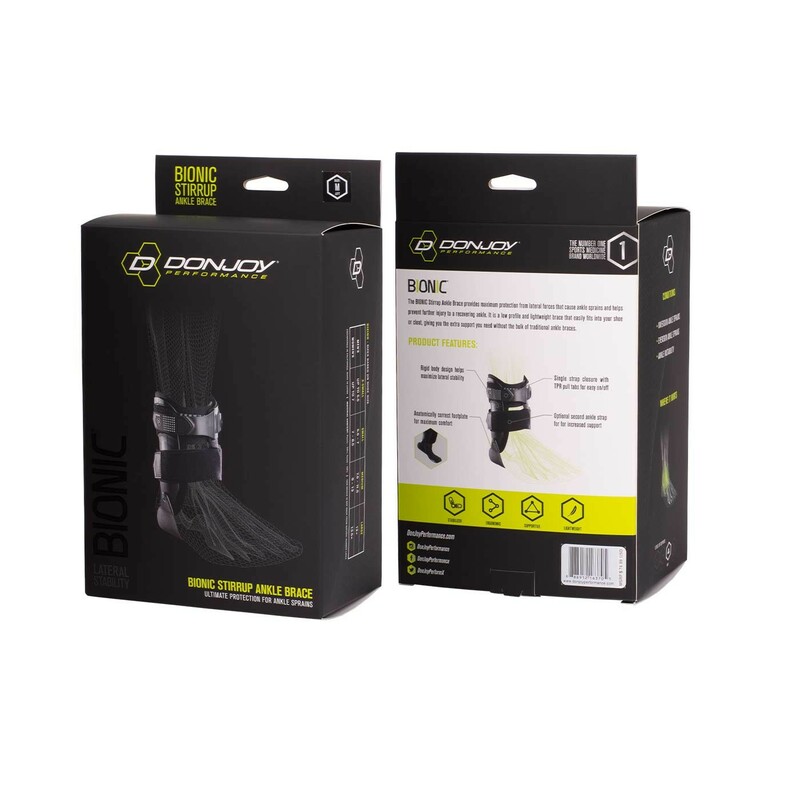 Our DonJoy Performance Bionic Stirrup Ankle provides ankle protection from ligament damage, sprains, rolls or instabilities. 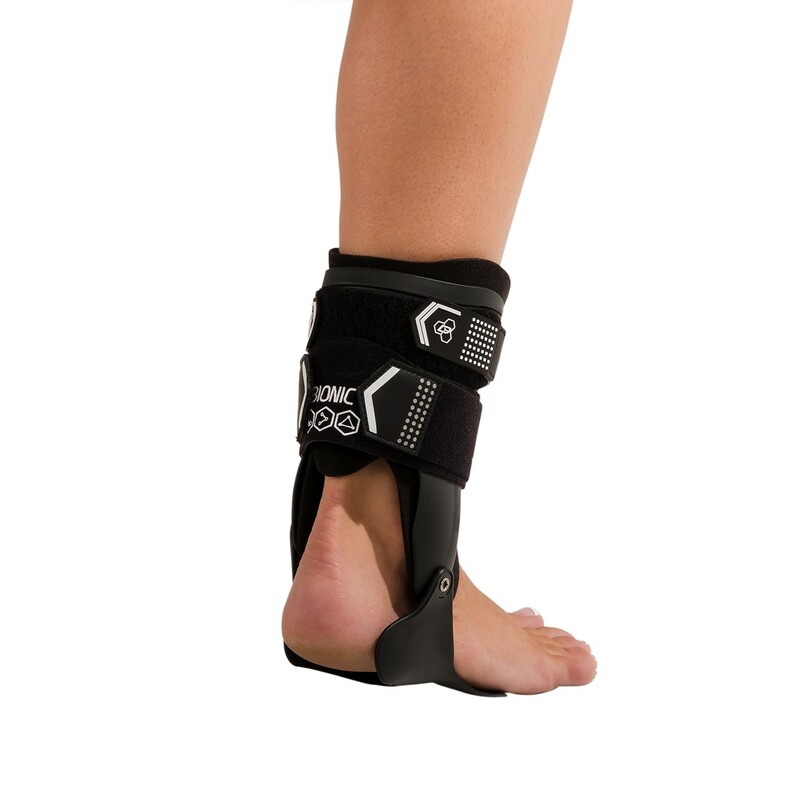 The rigid uprights help immobilize the ankle to help prevent further injury and allow for recovery. Easy to put on and lightweight, this low-profile brace will fit easily into any shoe or cleat, letting you focus on your sport not injury. Pros: Exceptional support, all day comfort. The hard part of the brace and the padding on the inside are very durable. Cons: Velcro wears out after a few months. 4 pack of very strong, $9 HD velcro (Amazon) straps work better than original. I didn't remove the original straps, I wrap over the lower strap and just below the upper strap. Overall great product, the only con was that it was difficult to fit into shoes. Product provided great compression around the ankle, it was easy to take apart and put on. Would definitely recommend. 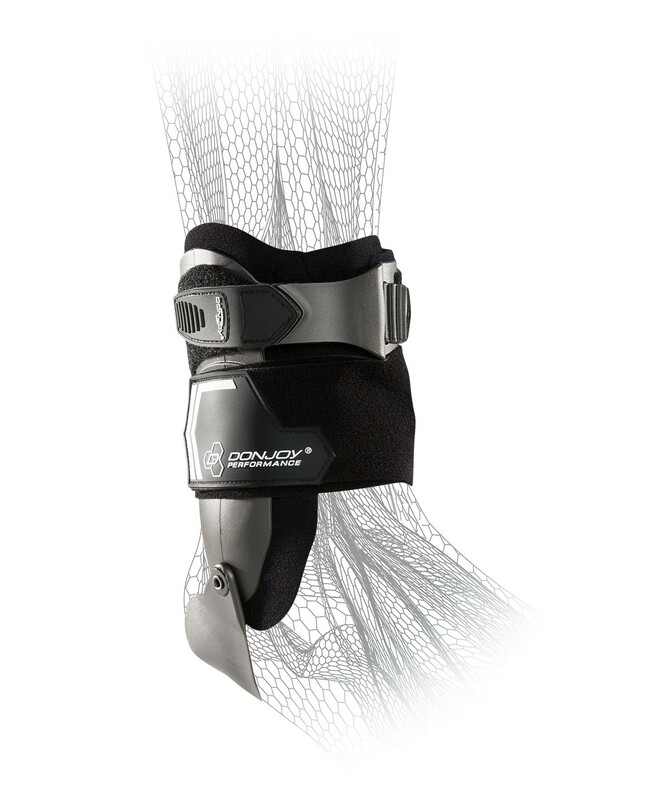 Pros: The pros about this brace is that it gave great compression and was easy to use. It also helped with the pain in my ankle. Cons: The only cons about this brace is that it was hard to fit into shoes, it was also very unstable at the bottom. 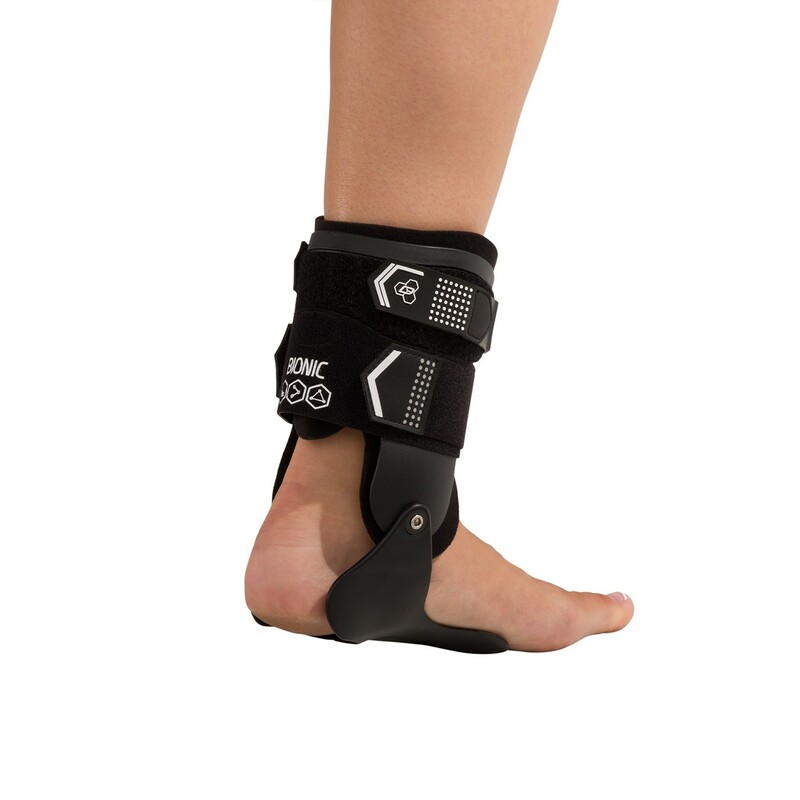 Will this brace help me as I am recovering from archilles tendon surgery. Need support but not instability. Just out of a cast and want to get back to the gym, cardio etc. Thanks!!! Thanks on keeping the price down. Thanks on keeping the price down. The brace fits comfortably. Cons: It's not pressured up against my ankle. 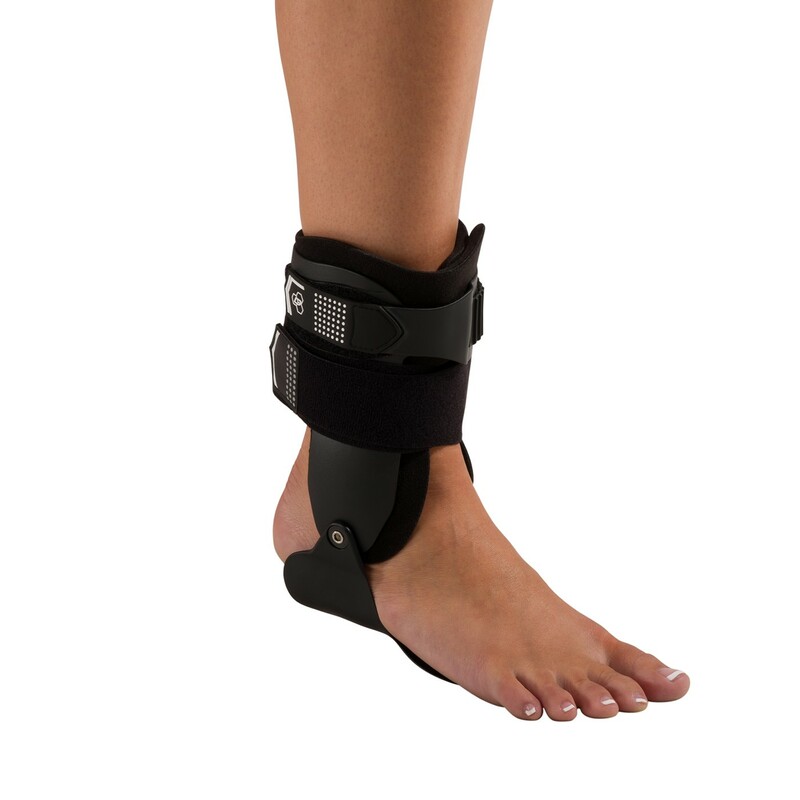 This brace is very well made and has potential to support ankle as listing suggests, but the brace runs very small (narrow) and would not even begin to fit my foot. 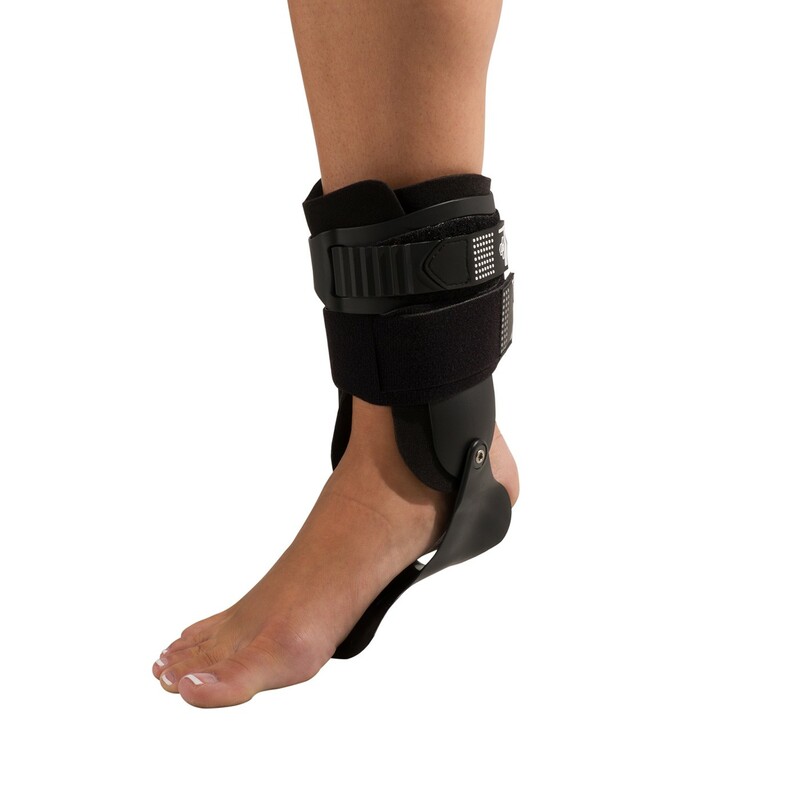 Bought this brace to support left ankle to prevent ankle rolling in my golf swing. Simply put, you rotate your left hip and plant your left heel on the downswing. Due to a recent bout of sciatica, my left ankle became very unstable in my downswing to the point of my ankle rolling out. Bought this brace for it's rigidity and support. Did exactly as it was supposed to do. Excellent support, no roll out at all. And for a rigid brace it is light and comfortable. wore it for 18 holes for the first time with no discomfort at all. Would recommend to anyone looking for a max support. Pros: Light weight and comfortable for a rigid brace.